We continuously test and monitor web hosts thoroughly to give you in-depth information about the best hosts on the market. Bluehost continues to come out on top and remains a market leader in the hosting space. It’s an all around great web host that boasts incredible uptime levels, responsive and helpful customer support, along with excellent loading speeds. If you’re a small business owner, or are building your very first blog or website, then check out Bluehost today. + a FREE DOMAIN NAME worth $15. Here’s what you get for just $2.95 per month. Bluehost is one of the most commonly used web hosts out there today. A lot of hosting companies are a dime a dozen. What you need is a hosting provider that places a focus on reliability, uptime, performance, and is equipped with the necessary features to help you build and grow your site. Bluehost is a company that’s been in high demand since their inception over 15 years ago. They’ve been effectively serving customers across the globe by providing an affordable, reliable, and high-performing service. Your choice of web host will influence your site more than you think. Your hosting company will act as the foundation for the rest of your site. Choose a quality hosting provider and you’ll end up with a high-performing, secure site, that’s online when you need it the most. Bluehost began back in 1996 as a free hosting company called 0catch.com founded by Matt Heaton. In 2003 they were renamed Bluehost and has since grown into the company you know today. Since their inception, they’ve grown to a staff of over 750 employees. They currently host over 2 million websites all over the world. For over 10 years Bluehost has been in partnership with WordPress, maintaining a full-time staff dedicated to providing WordPress support, along with an engineering team dedicated to WordPress core development. This understanding has allowed Bluehost to craft affordable and high-performing WordPress hosting. Bluehost also has a staunch commitment to the open source community. From their servers to internal tools and scripts, they’re all built on the back of open source software. Bluehost has a lot going for it. It’s not the perfect host for every kind of website owner. But, the fact that they currently host over 2 million websites, and have been in business for 15 years says that they’re doing something right. Bluehost has very impressive and consistent uptime levels. Website uptime is incredibly important. Essentially, uptime is the proportion of time that your site is online. The industry standard uptime for hosting companies is around 99%, which might seem great. But, not all hosts will actually end up adhering to this standard. We’re happy to report that Bluehost does indeed offer very high website uptime. Average Bluehost uptime ends up hovering around 99.9%. And this is even for their lower level shared hosting plans. You can expect plans like cloud hosting, VPS, and dedicated servers to be nearly 100%. Without a high uptime, you run the risk of losing revenue and providing a poor user experience across the board. After all, your users won’t be able to access your site if it’s offline. Luckily, with Bluehost, this will never be an issue. Bluehost isn’t the fastest host on the block. But, it’s loading speeds will be sufficient for most website owners. The speeds will also vary depending on the type of hosting you end up going with. For example, shared hosting will generally be the slowest hosting packages, but still, their speeds are competitive. While, going with plans like VPS or a dedicated will deliver even faster loading times, as you have greater server resources dedicated to your site. There are also bundled tools which can help to improve loading speeds even more, like CloudFlare. CloudFlare is a CDN, which will store additional copies of your site on a network of servers around the globe. That way whenever someone accesses your site they’ll be served a version of your site from the closest physical server location. Backups are usually an overlooked aspect of running a website. Usually, it isn’t something you even think about until it’s too late. That’s why having automated backups is such a blessing. Bluehost offers daily backups and website restorations on all of their hosting plans. Now, these backups do have their limits, so if you’re serious about backing up your site, then you’ll still want to upgrade or use third-party backup software. But, having basic backups included in every hosting plan is an incredible offer. If something goes wrong with your site, all you have to do is restore your site from a previous version, instead of having to re-create everything from scratch. Even though the process of building a website or starting a blog is much simpler than it used to be, the process can still be a little confusing for beginners. There are a lot of steps involved in getting your site online from securing an setting up your hosting, to choosing a domain name, to finally building out your website. One great thing about Bluehost is that they have a customer onboarding experience that’s completely oriented towards beginners. This means that they have a very clean and simple user interface, and make sure that any confusing technical elements are well explained. So, finding the right hosting package for your needs, and setting up hosting is a very easy and intuitive experience. Plus, if you do run into any issues related to setting up your hosting, there’s an extensive collection of tutorials and walkthroughs to help move you through any sticking points quickly and efficiently. A hosting company won’t last as long as Bluehost without doing something right. Bluehost has a very long track record of customer satisfaction and success. Spend some time browsing through various reviews online and you’ll find that most of the responses are very positive overall. Plus, the official endorsement from WordPress says a lot too. WordPress currently powers over 30% of the internet, so they’re not going to go around just endorsing anyone. Also, when you choose a host that’s been around for a while you’ll know that they have all of the kinks worked out, and their service will be streamlined. It would be near impossible to find a host that’s been around for 15 plus years that isn’t reliable. Since Bluehost is such a large hosting provider they offer a variety of plans that allow you to scale up your site while still remaining with the same hosting provider. Whether you’re looking to upgrade to a higher tiered hosting plan, or to another plan altogether, like the move from shared hosting VPS hosting, all of this can be done painlessly. Their hosting team will ensure this is a painless process and ensure that your site doesn’t experience any downtime during the move. Plus, managing your site and server couldn’t be easier. With their custom interface, you can monitor and manage server resources to help you determine when it’s time to upgrade. Customer support probably isn’t something you’ll need to use on a regular basis, but when an issue does arise you’ll want a rock-solid support team behind you. Bluehost places a focus on customer support by offering a multitude of different support options. You’ll find live chat, phone support dedicated to different hosting types, along with social media support. 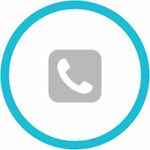 The easiest way to get in touch with customer support is via the phone. You’ll still be put on hold, but they do their best to ensure you speak with a qualified professional that’s well versed on the issue you’re currently facing. However, Bluehost does a great job of trying to resolve support issues before you even need to speak with a professional. Their extensive support library, is filled with hundreds of questions and detailed walkthroughs to help fix common issues you’ll run into. Bluehost has a massive application library that allows you to enable different services, and software. Not only can you enable eCommerce functionality and CloudFlare, but you can also plug your hosting account into Google Apps. Giving you an even large plugin library to draw from. If you’re looking to add more functionality to your site and hosting account, then you’ll have multiple options with the app library. Bluehost offers a pretty generous money back guarantee. It’s not as long as other hosting guarantees, like 45-days, or 60-days. But, it’s a no questions asked guarantee. As long as you cancel within the 30-day refund you’ll get a full refund. If you cancel after the 30-day guarantee period then you’ll get a prorated refund for the remainder of your term. Bluehost is packed with useful features and provides a high-quality hosting environment at an affordable price. However, like most hosts, they aren’t perfect. Like most hosting companies you’ll experience a price jump when it comes time to renew. Most hosting companies offer very low introductory rates to secure you as a customer, only to experience the “actual” rates when it comes time to renew. 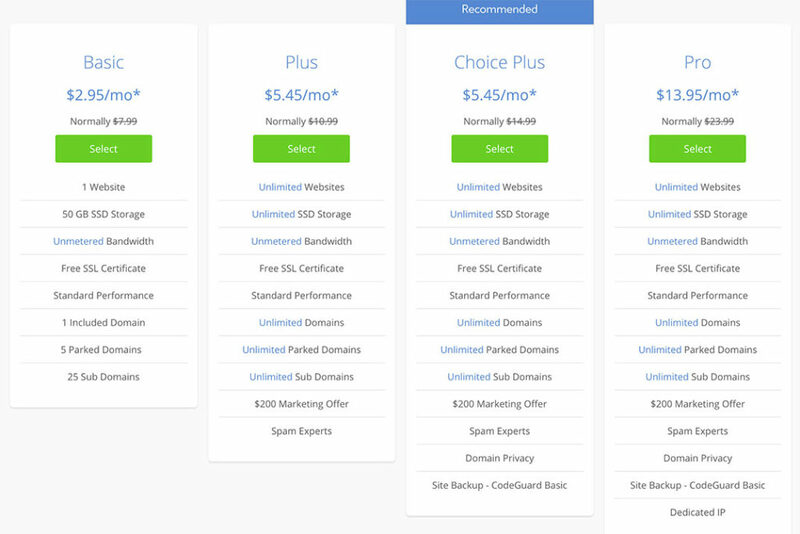 This issue isn’t something that’s unique to Bluehost as nearly every single hosting company uses this pricing strategy. But, it’s worth mentioning nonetheless. When you do renew your plan after the initial term, keep in mind that you will be paying a higher monthly rate than your introductory rate. Another common hosting practice is selling unlimited hosting when in reality it’s actually quite limited. Bluehost sells “unlimited” hosting, but as you’ll see it’s pretty far from that reality. Now, if this is your first time building a site, then you probably won’t actually run into these limits, but it’s still worth diving into what these limitations are. By “unlimited” hosting Bluehost means that they’ll do their best to provide all of those on unlimited hosting plans with the necessary resources to grow their sites, without experiencing a jump in pricing. There are no arbitrary limits placed on these accounts, but if your site is consuming a large proportion of server resources, storage, memory, then you might need to upgrade your account, or you’ll experience things like slow loading speeds and site performance. Essentially, if you’re staying within the terms and conditions, and not consuming a super high level of server resources, then you’ll be fine. Although Bluehost is cheaper out of the gate most of the add-on features and account upgrades can get pretty expensive. So, if you’re on a budget, then you’re probably going to want to go with the stock account options. If you want to do things like server upgrades, security upgrades, and more then expect to pay a much higher monthly fee. This won’t be a huge deal for most website owners, as the stock hosting features will be enough. But, just be aware that there are upsells during the checkout process and the add-on features will drive up the monthly cost of hosting. Bluehost is a Linux-only hosting company. This means that there’s no support for sites that require a Windows server in order to function properly. This probably won’t be an issue for a large proportion of the hosting market. But, for those who need to run Windows servers, you’ll need to look elsewhere for hosting. A lot of hosting companies will offer free migrations if you’re moving an existing site to their servers. However, Bluehost doesn’t offer a free migration service. If you want help migrating your site over to Bluehost, then you’re going to have to pay a fee. Currently, you’ll have to pay $149.99 to migrate up to 5 websites and 20 email accounts. This process is completely handled by experts, and you’ll experience an uninterrupted site transition. But again, it’s a service that you’ll have to pay for, and it’s usually a service that most hosting companies will provide for free. Bluehost offers a ton of different hosting plans that are oriented towards basically every kind of website owner out there. For some people, this is great, as it offers you plenty of flexibility to upgrade your hosting plans and build out a myriad of different sites without having to migrate to a different hosting provider. However, this can also be a disadvantage. Since they don’t focus on a single offering they don’t excel at any specific form of hosting. For example, some hosts only offer shared hosting, while others only offer WordPress hosting. This allows them to cater to every aspect of their service to that form of hosting. Bluehost isn’t one of those hosts, as they offer a variety of hosting packages for nearly every kind of website out there. 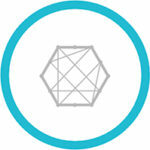 Instead of having a niche focus they offer you hosting package flexibility and scalability. This is either an advantage or disadvantage depending on the type of site you’re building. Like we just mentioned above Bluehost offers a wide range of hosting packages to suit almost every kind of website owner. Their biggest focus is on beginner shared hosting and optimized WordPress hosting, but they offer a handful of other types as well. Shared hosting is one of the most popular Bluehost hosting offerings. In general, shared hosting is the most popular form of web hosting in the world. However, this is mostly due to the majority of site owners never growing their sites large enough to need to upgrade to higher levels of hosting. Their basic starter package starts at $2.95 per month, while the plus package will run you $5.95 per month, the choice plus package will also run you $5.95 per month, and finally, the pro plan costs $13.95 per month. If you’re just getting started online the basic plan will suit you just fine, but as your site grows you might want to upgrade to the plus or prime plans. If you’re leaning towards the plus plan, then you’re probably better off selecting the choice plus plan. 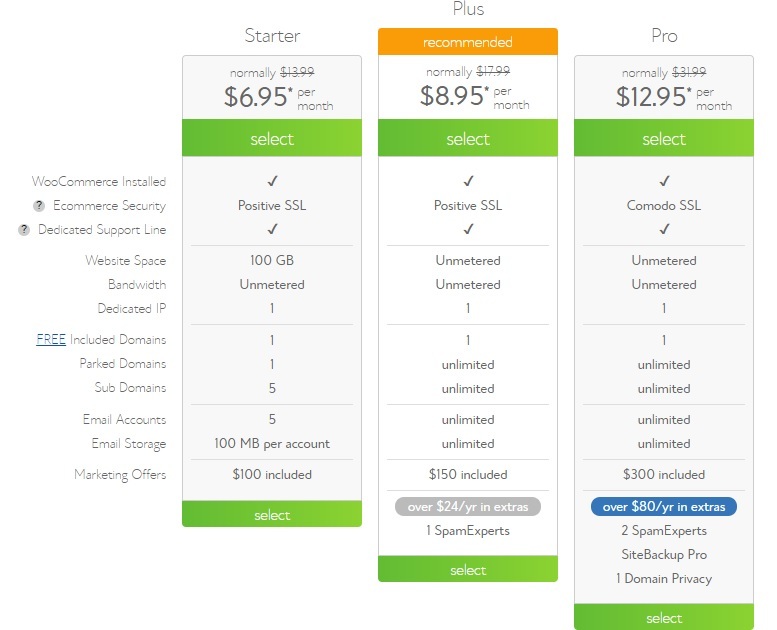 Since they’re currently both the same price, but the prime plan offers you additional features like domain privacy add-ons, more extensive site backups, and more. However, this pricing might not stay forever. It’s always worth checking the pricing before you make a purchase, as introductory hosting offers tend to change up their pricing quite frequently. Some users might want to choose a higher level shared hosting plan from the very beginning. For example, the higher level shared hosting plans are equipped with features like unlimited website space, bandwidth, and support for an unlimited number of websites right out of the gate. Now, unlimited doesn’t really mean unlimited, but we’ll get to that in more detail below. The highest level shared hosting package is the Pro package. Email reputation. If you’re on a shared host there’s a chance of IP blacklisting, if another person on the same server uses their account for spam emailing. However, with a dedicated IP, your site and email account will be completely isolated from other accounts and users. Server script requirements. Some website applications and scripts won’t run properly without a dedicated IP. This is generally pretty rare, but some website owners will need a dedicated IP to have their sites function properly. Who Would Benefit Most from Shared Hosting? If this is your first website, then Shared hosting will probably be the best plan for your needs. In time, as your resource and feature needs grow you can upgrade your web hosting package. Shared hosting is going to be the cheapest hosting option you’ll be able to find and will provide your site with all of the resources required for it to grow. Or, if you’re starting a site that won’t have that high of a demand for traffic, then shared hosting will be a great fit as well. VPS hosting operates like a dedicated server, but it’s much cheaper than renting your own physical dedicated server. It relies upon virtualization technology to create a virtual dedicated server across multiple shared servers. So, you’re still going to be sharing a physical server with other users, but these users will never overlap, or affect your server resources in any way. Unlike traditional shared hosting, where other sites using the same server can have an impact on your overall performance. This style of hosting also gives you the ability to scale your server resources rapidly, since you’re not limited to the constraints of a physical server. Technically, you could scale your server resources indefinitely. VPS hosting is a great next step after you’ve outgrown a basic shared hosting plan. The main differentiator between the offered plans is the amount of storage space, bandwidth, and RAM. Plus, with the higher level plans you’ll also get access to more IP addresses. 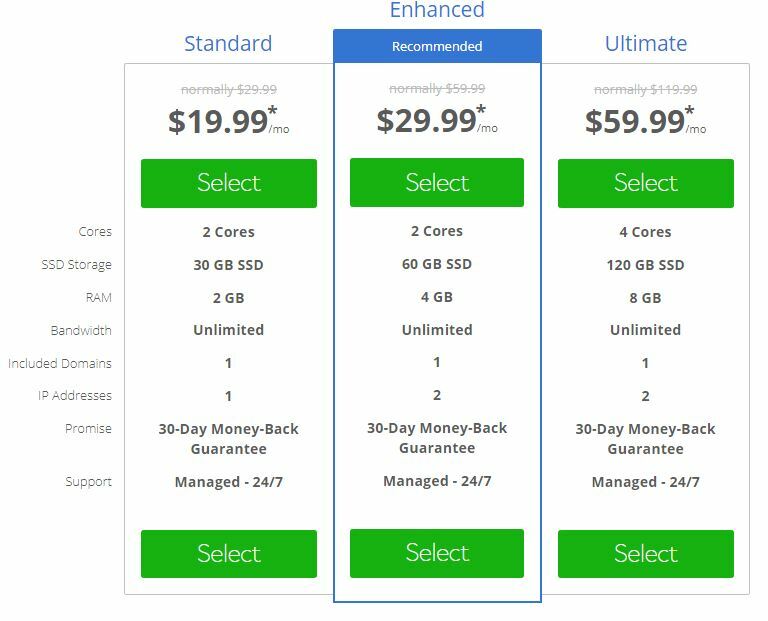 Currently, the standard plan costs $19.99 per month, the enhanced plan costs $29.99 per month, and their highest level VPS plan will be $59.99 per month. The plan you choose mostly depends on your site storage needs, and the level of bandwidth you require. Who Would Benefit Most from VPS Hosting? VPS hosting is incredibly reliable and scalable. If your traffic volume continues to grow, then you can rely on VPS hosting to continue to deliver top-notch levels of performance. VPS hosting will also provide you with fewer site restrictions and greater levels of server customization. Since you’re basically running a dedicated server you’ll have more control and customization options right out of the gate. You’ll also be relying on the lightning fast SSD storage. If you’ve recently outgrown your shared hosting plan, then VPS hosting is definitely worth checking out. It’s not that much more expensive and you’ll be getting a lot more power, flexibility, and scalability. Dedicated server hosting is relatively simple to explain. You’re renting an entire physical dedicated server. This form of hosting is going to be one of the most expensive forms of hosting, and should only be used if you actually have the budget for it. With most other hosting plans you’ll be sharing this server with dozens to hundreds of other users. When you sign up for dedicated server hosting you’re responsible for the entire cost of the server. This does give you advantages like total server customization, incredible performance, along with a massive amount of storage. Dedicated servers also provide you with unparalleled levels of security as well. 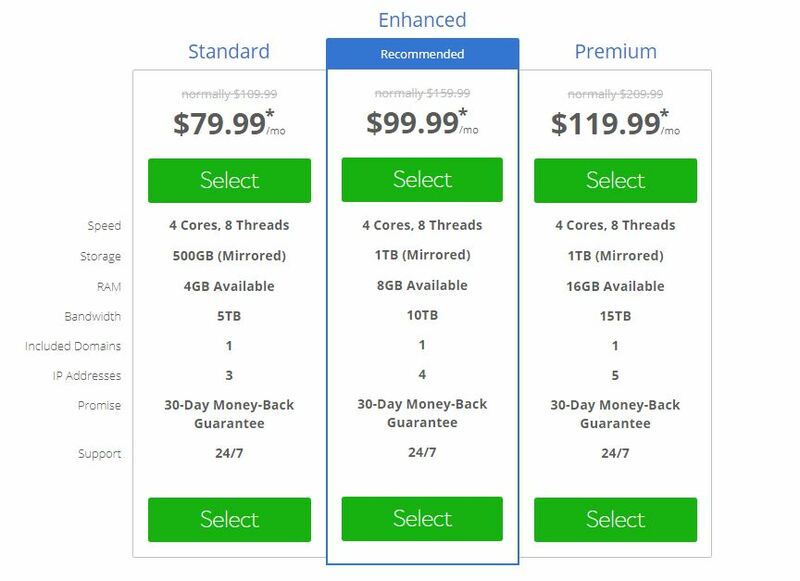 The cheapest dedicated hosting plan is the standard plan, which will cost you $79.99 per month, the next level enhanced plan costs $99.99 per month, while their premium level plan will cost $119.99 per month. The main differences you’ll find between the plans are the overall server speed, available storage space, RAM, and the number of dedicated IP addresses. Who Would Benefit Most from Dedicated Hosting? If you need complete control over your server environment, then a dedicated server is the way to go. Essentially, you’re getting a clean slate that you can customize to your liking. As you can see from the plans above dedicated servers provide you with a ton of storage, bandwidth, and RAM, all in a very high performing server environment. Dedicated servers are commonly used by sites that are very large and also receive a high volume of traffic. Websites that need very high levels of security might also use a dedicated server. Think websites that deal with sensitive financial information or other personal information. If you’re running a WordPress site, then optimized WordPress hosting is something that you’ll probably consider eventually.Optimized WordPress hosting will give you a hosting environment that’s completely optimized for your site from the very beginning. This will help you achieve higher levels of performance and security, while removing any technical issues you might experience while running a WordPress site. 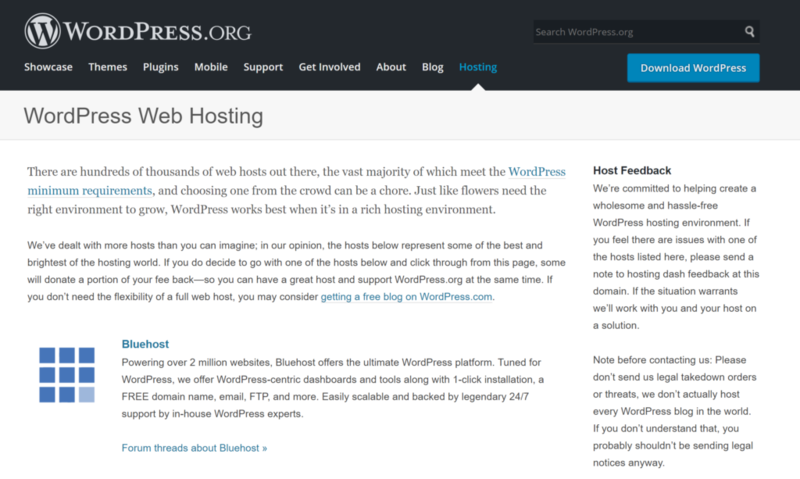 Bluehost offers WordPress optimized hosting plans that are actually recommended by WordPress.org. This is pretty high praise, as only a handful of other hosts like Siteground and Dreamhost also receive this recommendation. Their WordPress hosting plans are fully optimized to help you get the most out of your WordPress site. Plus, their plans come with WordPress pre-installed, so if you’re building a WordPress site from scratch, then all of the technical work is taken care of for you. These plans are built on top of their VPS server platform, which offers super-fast performance, scalability, and high levels of security. WordPress hosting doesn’t offer you a lot in terms of customization, but by sacrificing control you gain simplicity and speed. Beyond standard hosting features you get access to an advanced cPanel built just for WordPress, SiteLock security, and a free SSL certificate. The biggest differentiation between the WordPress hosting plans is the total number of visitors per month. However, you’ll also find differences in storage, RAM, backup sizes, integrated CDN, security, and level of SSl certificate as well. Considering everything you’re getting the price is actually pretty reasonable. 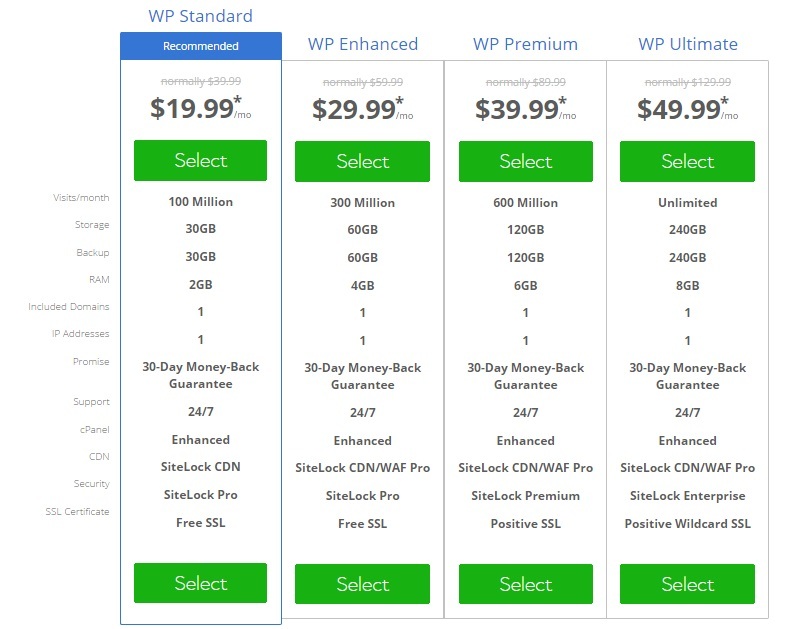 The wp standard plan costs $19.99 per month, the wp enhanced plan costs $29.99 per month, the wp premium plan costs $39.99 per month, and the highest level plan wp ultimate costs $49.99 per month. Who Would Benefit Most from WordPress Hosting? If you run a WordPress site, then you’ll definitely want to consider WordPress optimized hosting. This style of hosting takes the headache out of hosting your site while offering you high levels of performance and security. Plus, with a hosting environment completely optimized for WordPress, you’ll get so much more out of our site. If you’re just getting started online with your first WordPress site, then you might not need WordPress optimized hosting right away. You can get away with using a basic shared hosting plan until you’re getting enough traffic where it’s worthwhile to upgrade. But, if you have a medium-sized WordPress site or one that’s growing rapidly, then it might be a good idea to upgrade to WordPress optimized hosting. Bluehost’s WordPress optimized hosting is equipped with custom-built tools and advanced cPanel that makes it incredibly easy to manage your site. Plus, if you’re building an eCommerce site you can utilize the WooCommerce WordPress combination, backed by a powerful hosting platform. Bluehost offers a version of reseller hosting that’s powered by ResellerClub. So, if you’re a web developer, or run an agency that manages client sites, then you might want to sign up for a reseller hosting plan. You can even build your own mini hosting company on the back of reseller hosting.With Bluehost reseller hosting you’ll be able to provide shared, VPS, dedicated, and WordPress hosting to your clients and customers.By partnering with ResellerClub you’re able to sell over 800 different hosting-related products, get access to 24/7 support, and provide customized control panels and more. The pricing of reseller hosting varies greatly depending on the type of hosting you’re offering. Click here to learn more about Bluehost reseller hosting. No matter what hosting plan you end up choosing you’ll find that their hosting plans are very easy to navigate and configure. Everything from signing up for hosting, to setting up your hosting account, managing domain names, setting up email addresses, to installing WordPress. Basically, any task you want to accomplish within your Bluehost dashboard is dead simple. Bluehost has an intuitive custom designed control panel that’s built off the industry standard cPanel. Here you’ll be able to manage your websites, add more applications to your site, manage email accounts, domain names, and a lot more. Beyond hosting you’ll find a slew of different domain and email features too. For example, if you’re using Bluehost to manage your domain names you’ll get an intuitive dashboard that allows you to transfer domains, purchase domains, and more.You’ll also have the ability to add unlimited email accounts for domain-specific email addresses. Here you can set up email accounts, email forwarding, and a lot more. Bluehost offers multiple ways to get in touch with their support staff. You have 24/7 access to customer support via email, phone, and live chat. Plus, you have the extensive knowledge base, which can help you work through any account issues without the need to even reach out to support. Like most beginner-friendly hosts you’ll find the ever-useful one-click install. This application lets you quickly install a number of different applications, software, and CMS on your new site.For example, want to build a WordPress site? Just, select WordPress, enter a bit of information, and the installer will fully install WordPress on your new site. Same thing if you want to install another CMS or even eCommerce software like Magento. One thing you’ll want to look for in a host is the quality of their server hardware. Some hosting companies will keep costs low simply by using outdated server hardware. Luckily, Bluehost takes the complete opposite stance.All of their servers are hand-built with high-quality server hardware. They use ultra-fast SSD drives and do everything they can to ensure their servers are using the latest hardware. Finding a hosting provider that offers a variety of stock and add-on security options is an absolute necessity. Bluehost offers a wide variety of security features to help protect you from the risks that exist online. There are tons of different spam prevention tools like Apache SpamAssassin, Spam Hammer, and Spam Experts. All of these will help to protect your email inbox if you’re utilizing the built-in email features. There’s also support for CloudFlare, which not only can help to speed up loading times, but it’ll help to prevent DDoS attacks from bringing down your site. Finally, depending on the type of hosting package you select, you might also have the ability to access your server via SSH. This provides you with a secure approach to modifying and uploading your website’s files. Beyond the security features mentioned above, there are a few more additional tools that you can enable to improve security even further. SiteLock is another security add-on that will improve your overall site security. SiteLock is equipped with features like regular malware scanning and malware removal, spam protection, and protection against DDoS attacks. This is an add-on service and currently will run you $1.99. But, if you take your website security seriously, then this is a small investment to make. Ever hosting plan is equipped with a basic SSL certificate. SSL certificates will help to elevate site security by encrypting any information that’s exchanged between your user’s browser and your server environment. Higher level hosting plans are equipped with private SSL certificates, however, you can always purchase a higher level of SSL certificate no matter which plans you’re on. 2-factor authentication creates an additional layer of security when accessing your dashboard and Bluehost account. With this enabled, you’ll have to verify your identity via a mobile application in order to complete the login process. Think of it as having two different passwords that need to match before you’re allowed to login. This is a great way to prevent unauthorized access to your account. 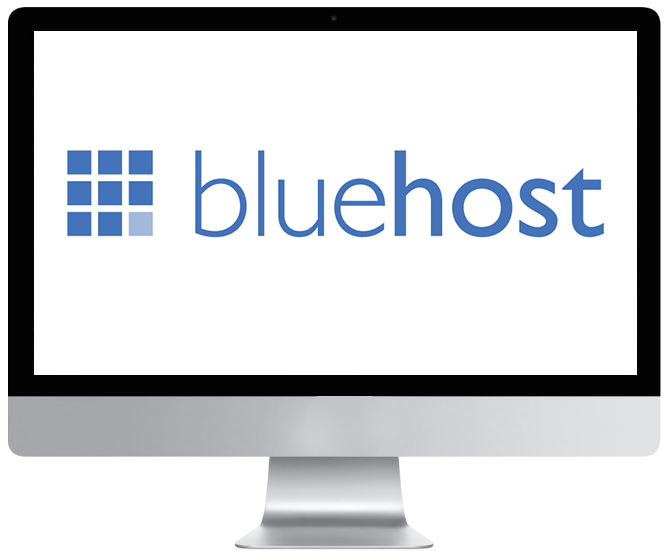 Beyond just hosting your website, you can also use Bluehost to manage your domain names. This is super useful, especially considering a lot of the Bluehost hosting plans come with a free domain name. If you have a domain with Bluehost, then you’ll get access to the domain manager tool. This tool will allow you to purchase more domains, track domains, transfer your domains, and manage things like your nameservers, and more. If you’re on the Plus or Choice Plus plans (look at this), then you’ll have the ability to manage an unlimited number of domains. If you have an existing domain through Bluehost, then you can create an unlimited number of subdomains for this domain. A subdomain acts as a separate site, even though it’s using the same domain. For example, if your domain is ‘mysite.com’, then you create a subdomain that’s ‘blog.mysite.com’. Parked domains can be used for a variety of reasons, but the most common is to create website aliases. For example, if your website is ‘mysite.com’, you could also get the ‘mysite.net’ and ‘mysite.org’, and park these and redirect them to your main site. If you’re looking for a quick and simple way to build out your website, then you can use the bundled website builder. This sitebuilder is powered by Weebly. It’s very easy to use and is equipped with a drag-and-drop interface to help you build your site. Even if you have no previous website building experience, you can quickly create a professional site with this tool. Just select one of the pre-designed templates, then drag-and-drop new elements until you’re satisfied with your site. The Weebly website builder is a great choice if you want to build out a simple website in as little time as possible. Bluehost doesn’t offer any plans that are completely dedicated towards eCommerce, however, it is equipped with all the necessary features to support you building an eCommerce store.For example, even on a basic shared hosting plan, all you need to do is install your eCommerce software of choice. You can use the combination of WooCommerce and WordPress, or you can install software like Magento, Zen Cart, or OpenCart.All of these can be installed in a couple of clicks from within your Bluehost control panel.If you do want to utilize WooCommerce to build out your eCommerce site, then check out the WooCommerce hosting. If you’re going to be using the WooCommerce and WordPress combination to build your new store, then this hosting option is definitely worth exploring. If you’re serious about building an eCommerce store, then one thing to be aware of is PCI-compliance. PCI DSS is a set of security standards that your eCommerce store must adhere to if you process, store, or transmit customer cardholder data. Bluehost isn’t equipped to be PCI-compliant right out of the gate. However, you can adjust the settings to ensure you’re fully compliant. It’ll just take more work on your part. MOJO Marketplace is a huge app marketplace that’s included with your Bluehost hosting plan. It’s equipped with hundreds of free applications that you can install on your website. Now, you could install these on your site without the help of the marketplace, but the process would be much more technical and time intensive. The beauty of the marketplace is the speed and ease of which you can install these powerful applications on your site. For example, with the click of a button, you can install a CMS like WordPress, Drupal, or Joomla. You can also download eCommerce plugins, themes, and a lot more. Hopefully, the information above has answered virtually all of your questions related to Bluehost. However, you still might have some lingering questions. Bluehost and HostGator both fall under the Endurance International Group (EIG) umbrella, but they both operate as separate brands and companies. EIG own dozens of other companies that you’ve probably come across throughout your hosting search. So, no they aren’t the same company, but they’re both owned by EIG. Do they offer multilingual support? Bluehost is not a multilingual company. They only offer support in English. Now, you could still create a site with content in a different language, but you’ll only be able to have a dialogue with the support staff in English. Yes, Bluehost offers SSL certificates on all of their hosting plans. The level of SSL certificate included depends upon the hosting plan you choose. However, you can also upgrade your SSL certificate by purchasing a higher level certificate, no matter your hosting plan. Bluehost takes security very seriously. For starters, you’ll get access to CloudFlare, which isn’t necessarily a security tool, but as a CDN it protects against DDoS and SQL injection attacks. You’ll also find a variety of spam protection tools for email accounts, and protection via SiteLock. Bluehost does offer a money-back guarantee. However, it’s only applicable to the first hosting term. Still, their guarantee is pretty generous. You can cancel within 30 days of starting your hosting account and receive a full refund. If you want to cancel after the 30 day period, then you’ll receive a partial refund based on the amount of time left on your plan. Keep in mind that this guarantee only applies to hosting plans and not to any domains you’ve purchased, or add-on services. Do they use SSDs or HDDs for storage? Yes. Almost every plan is equipped with SSDs. Solid State Drives provide you with improved data security, fast speeds, and high levels of reliability. 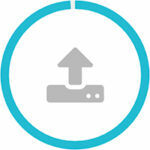 Bluehost offers an uptime of around 99% (like most other hosting companies). However, they don’t have a guarantee for refunds if it dips below this number. However, Bluehost continues to test in the higher levels of uptime, giving users an average uptime of around 99.9%. Can you get domain names through Bluehost too? Yes. Bluehost can also act as your domain name registrar. Plus, a lot of plans are equipped with a free domain name during sign up. If you have a plan beyond the cheapest shared hosting plan, then you can host and manage unlimited domain names with your Bluehost account. Do I Recommend Bluehost Hosting? Yes. Bluehost is an incredibly high-performing and reliable host. With speeds and uptime that continuously rank in the upper echelon of hosting companies they’re definitely a host you should consider. Their plans are affordable and packed with features. Plus, with a wide variety of available plans you’re guaranteed to find a plan and package that’s perfect for your new site. Finally, those looking for a high-quality WordPress host should definitely consider Bluehost. Their WordPress hosting is high-performing and recommended by WordPress themselves. Want to leave your own review about Bluehost.com? If it provides value to our visitors then we will publish and send you $30. Note that not all reviews will be published. To be in with a good chance of your review getting published then you will need to write valid, unique, resourceful and helpful reviews – this can be either positive or negative. All the best with your bluehost review!!! Thanks for this detailed review. In my case, I have used at least 2-3 hosting providers and Bluehost being one of them. The best part about Bluehost is their quick chat support service. Initial packages are attractive, renewal are little expensive but worthy of quality. Does Bluehost allow you to upgrade to VPS Hosting and add on Cloud Hosting if you select a different package up front? Or are you locked in once you subscribe? You can upgrade at any time. I’m constantly upgrading my sites once they get past a certain traffic threshold.